Maud can’t find her friend, Elizabeth, and no one seems to be able to help her find her. Maud is challenged in her task, for Maud has dementia. Pieces and parts of her life have already gone missing, and she survives by clinging to those bits and snatches she still has left. Elizabeth is a critical part, and Maud is fiercely determined to find her, regardless of the lack of help from her family, neighbors, and friends. And so Maud sets off, and we set off with her. We learn, as we journey with Maud, that Elizabeth isn’t the only person missing from her life; her sister is missing as well, lost long ago. In Maud’s increasingly muddled mind, the veil between the past and the present has become thin. As Maud follows clues to find Elizabeth, we, the reader, also learn of her sister’s story, and see the depth of pain that Maud has carried with her for a great many years. This is a haunting tale that reminds us, even if the rest of our lives are stripped away, the love of our family and friends is what’s most important. Maud’s friend Elizabeth is missing, and she misses her. Maud is forgetful…she knows that. 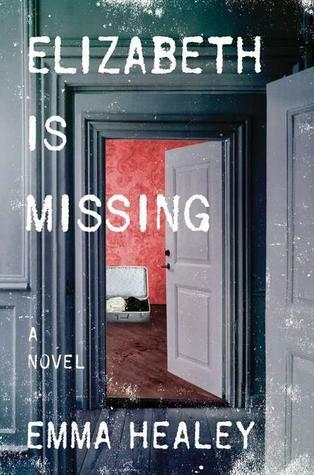 She writes notes to remind herself of important things to do, but her notes all say that Elizabeth is missing. We see the world through her eyes, perhaps a little too closely. Maud is holding on as tight as she can to those things she holds most dear. Perhaps, before the last of her memories fade away, Maud can find all that she’s lost, at least one last time. The book will remain with me for a very long time. Dementia and Alzheimer’s rob us of more than just our memories…they threaten to rob us of dignity as they progress. Maud and her family face her difficulties with great dignity and love. I would hope that the rest of us, when faced with such trials, could do as well.